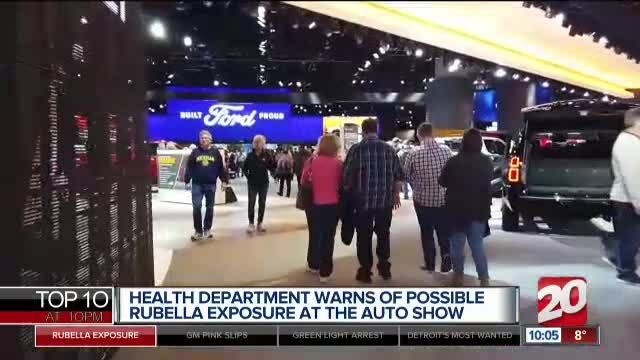 The Michigan Department of Health and Human Services is warning people who attended the North American International Auto Show that they may have been exposed to rubella, which is also known as German Measles. The department says they have been notified by another state that one of their residents has been diagnosed with the contagious disease. The person attended the show, during the press preview. 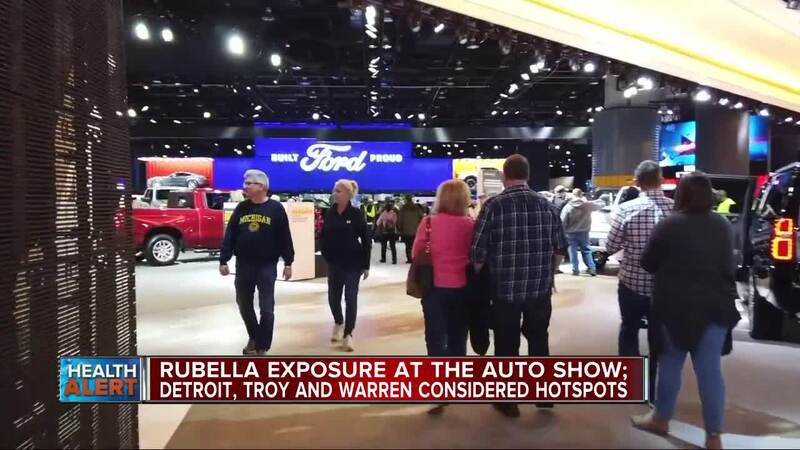 The Michigan Department of Health and Human Services is warning people who attended the North American International Auto Show that they may have been exposed to rubella, which is also known as German measles. The department says they have been notified by another state that one of their residents has been diagnosed with the contagious disease. The person attended the show during the press preview. Officials say the person may have been contagious at the time. People infected with rubella are most contagious when the rash is erupting, but they can be contagious from seven days before to seven days after the rash appears. Rubella can cause a miscarriage or serious birth defects in a developing baby if a woman is unvaccinated and infected while she is pregnant. Rubella can be prevented with rubella-containing vaccine, which is primarily administered as the combination measles-mumps-rubella (MMR) vaccine and is included in the series of routine childhood immunizations. You can get more information on rubella at the US Centers For Disease Control and Prevention website. .